Great speakers. Don’t miss them! If you live in the Vancouver area, I urge you to attend and help the organizers spread the word. If you do not live there, then please help circulate the information emerging out of the Conference. You can catch me at the conference in these two venues. 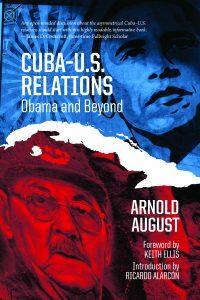 Keynote address on my latest book Cuba-U.S. Relations: Obama and Beyond. 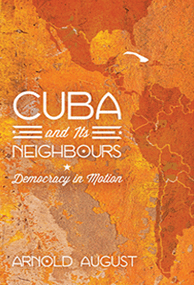 Workshop on my second book, Cuba and It’s Neighbours: Democracy in Motion. A first. Looking forward to it. 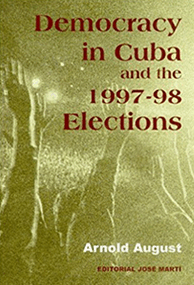 In fact, as a result of the elections going on in Cuba at this time and a heightened interest in how the next president of the Cuban Councils of State and Ministers is to be elected in February 2018, I am seriously considering a “virtual” book launch through internet on this ground-breaking book. There is no other recent book that deals with the entire process of Cuban elections as they are going on now, as well as how the different levels of government function after elections. It is a balanced text which opens up its pages to the opinions of Cuban revolutionary specialists, who are almost all Party members, as to how they think that the political system can be improved. It is also used by some Cuban elected officials and civil servants in the debate on how to improve the system. In fact, Ricardo Alarcón, in his Prologue to the book, writes that it makes a valuable contribution for Cubans interested in improving its democracy by making it even more democratic. My published analysis of the previous elections provides a blue-print of how this process is to take place at this time. Moreover, the entire book is based on more than thirty exclusive interviews in Havana. Specialists from all walks of life share their views, now made available to the English-speaking world, many for the first time. 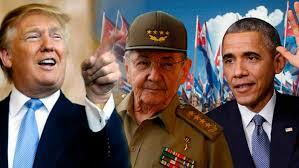 This entry was posted in CubaUSRelations, USCubaRelationsExpert and tagged Arnold August, CubaExpert, CubaPolicy, CubaUSRelationsExpert, TrumpCubaPolicy, USCubaRelationsExpert by Arnold August. Bookmark the permalink.